1. We do not need to ask for permission from anyone to unleash our talents & live passionately with purpose. It is only our personal choice/decision. NGLS-ers chosen to act! 2. Creating environment for a self-reflection can be life changing. Inspiration, high spirits, drive towards a common goal are really contagious and they create tremendous synergy effects. 3. Someone can open door for you, but you have to take steps and walk through it. None of the speakers are responsible for feelings or actions of participants, it is only their conscious decision. We might have provided conditions for it, but rest was in the hands of #NGLS-ers. 4. Always be personal, write personal emails for invitation, give away hand written notes with thank you and touch people with small things which matters. 5. Word of mouth rocks! 90% of participants found out about NGLS from web 2.0 channels or as recommendation from friends they trust. 6. Don’t underestimate, how many helpers and volunteers are out there to give you a helping hand when your mission is sincere and when its purpose resonates with people. They don’t hesitate to hop on a plane and stay in your country for 20 hours, like Trey Pennington did! 7. Proof that your work/art matters is, when people are willing to cross the ocean, spend their weekend with “strangers” or share their art with your tribe/peers/country. 8. People love to be part of a movement, which gives them freedom to be themselves and creates space for putting their talent in action. 9. Artists/doers don’t need rules, manuals and instructions to act. They do act beyond your imagination, once you give them opportunity and blank sheet of paper. Get ready to be surprised and inspired! 10. Learning is never ending and it is always a 2 ways street. I have learned so much from you NGLS-ers. 11. Love lives forever & it is all we need for creating remarkable things. see you in Martin in Slovak National Library on NGLS #3 Conference later this year. Yes, I mean this year, 2011! ;-) I am not alone anymore living NGLS dream, we had room full of loving, caring and passionate NGLS-ers in Modra, who are all out to be part of this exciting history changing movement. Yay! 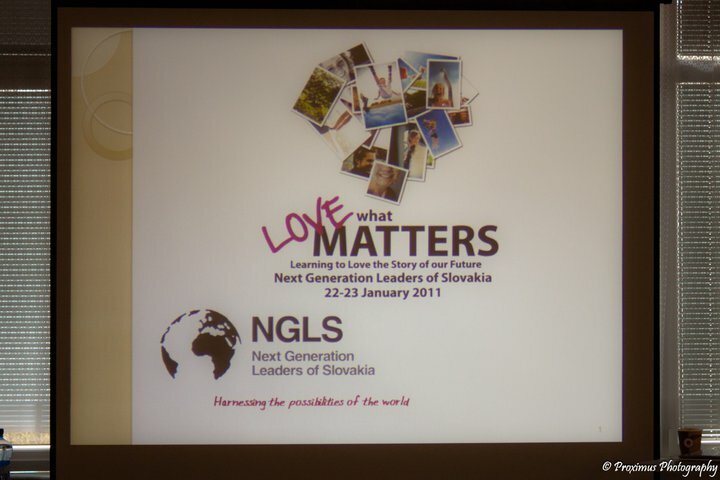 did you get a chance to follow NGLS event online? Have you seen our NGLS live stream? Do you have any suggestions how to make NGLS #3 even better? Would you be willing to hop on a plane and join us? Would you like to share your art and inspire emerging leaders in Slovakia? Shoot your ideas how you could be involved in NGLS #3 in the comments or simply send me email! P.S. : NGLS-er and SCG-er Brano Rac, just sent me link for 2nd NGLS video, which he made for us. Enjoy. I love your 11 lessons listed..and I would like to say that this NGLS event was the best event I have ever experienced so far in my short life 🙂 To give more power to my statement I must say that I’ve attended a lot of events (both offline and online), and I still value NGLS the most. You have given us so much value there..and we have also added/traded value between each other and in the end all NGLS-ers together will rise the value of Slovakia. So I want to give a big public THANK YOU to Ivana for chasing her dream and make this happen!